Here is a list of all the postings Bucksboy has made in our forums. Click on a thread name to jump to the thread. Have a look at the Bucks Composites site, he gives advice on glassing using foam rollers. I’ve glassed four planes and it gives great results and very easy to do. I too enjoyed the show. I watched a similar programme years ago about train collectors. One chap explained that he used to buy two examples of every train he bought. One to display in its box, it was never removed. The second one wasn’t even removed from the transit packaging to maximise its value in years to come. I remember thinking that he could be in for a big surprise when he sold the brown paper wrapped package some years later. I saw the writing on the wall and bought kits whilst I had the chance. There was a big discussion on here about the demise of building kits as opposed to buying ready made foamies. I’ve got foamies, they’re great but I really enjoy building too. Ill take some snaps of the bigger one and post them, it’s virtually the same kit just a big bigger. I successfully flew this for the first time yesterday. 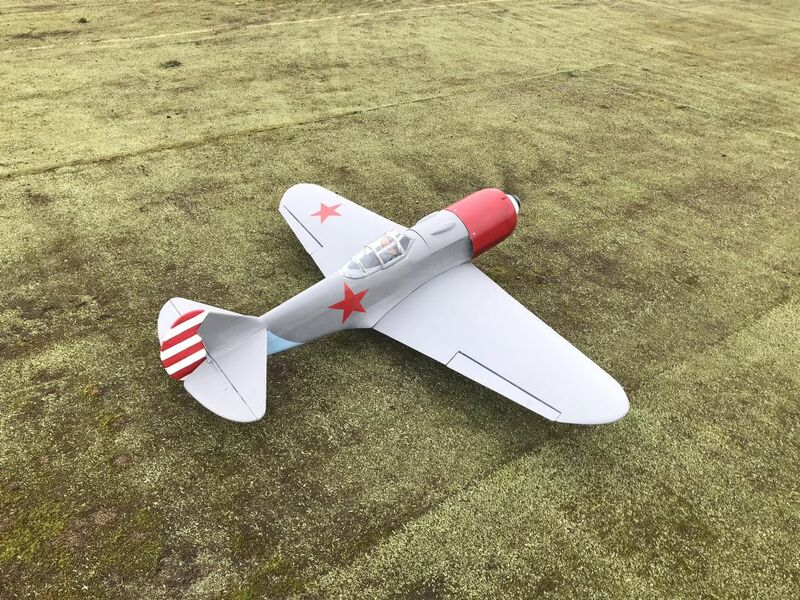 It’s a Warbird Replica La7, the smaller 57” version. It’s electric using their motor and FMS spinner and 3 bladed prop. It’s not finished yet and I’ll get on and finish the detailing, the Solartrim stickers have lost their grip so I’ll paint the stars on. I’ll draw a few panel lines and weather it up a bit too. It’s painted with Matchpots over brown paper covering. It went together really easily, it’s very simple. The beauty of it is that you can add, alter or glue extra bits on to cover mistakes, it’s a model plane after all. I’ve made a start on it’s bigger brother but that one will have a Laser 80 up front, luckily I already have one. It’s just the bared bit at the end that needs to be at 90 degrees. On Futaba these are silver, I don’t know about your receivers. You could slide a piece of the original blue outer over the exposed yellow to support it. But this time you'd have to support this 'extra' piece of outer as it's receiving no support itself. That would mean glueing a long triangular fillet between the outer and the fuselage. From the side you'd hardly notice it and once in the air it would be impossible to spot. Of the two methods I'd prefer the long threaded steel insert into the middle of the yellow inner. The whole snake run looks nice and straight so the longest piece that will fit without causing fouling would be best. Use a power drill to grip the threaded rod to wind it in, the friction makes it hard to accomplish by hand. You can buy short sections, 6 inches I seem to remember, of 2mm threaded rod. Wind that into the yellow inner so its well into the fuselage, just leaving a short section to screw the clevis onto. That will support the yellow snake internally making it stronger. I seem to remember they were expensive, about £2 each but you only need one. Two if the rudder is the same. 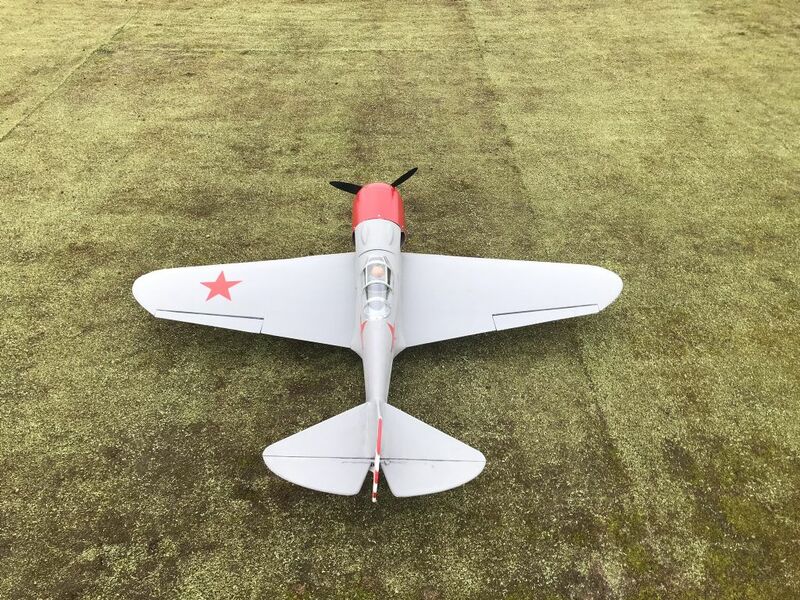 Thread: Warbird Replicas Bf 109 club. Ed, I’ve sent you a private message. Alas, untouched and still in the box. 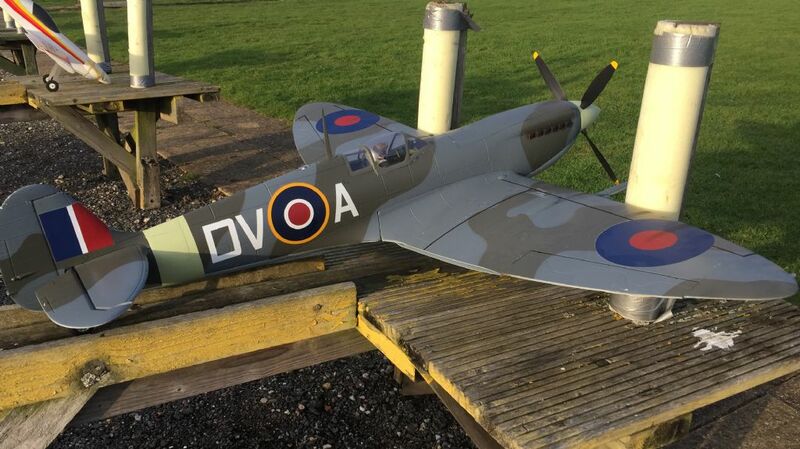 Here’s my Flightline RC Spitfire, it flew beautifully not long after this snap was taken. Shooting a drone down is not as easy at it sounds. I fly drones /UAV’s, call them what you want, professionally. I fly either the Phantom or Inspire around 100m above the ground. I don’t fly in the UK though. The drone is shot at very regularly where I work, with fully automatic weapons and very often there are several soldiers shooting at it. We’ve only lost 4 uavs in a year, yet we experience shooting twice a week, every week. I accept we never hover the machine but a shotgun would never reach us nor a water cannon. Jamming the GPS signal is the most effective but that doesn’t cause the machine to fall out of the sky and it’s not only us affected by it either. I've sent you a PM. Thanks. Have a look at Airtek Hobbies, they’re £5 cheaper than Amazon already. I use them for things and have had excellent service. Thread: Warbird Replicas Bf 110 club. I'm afraid to say I agree with you. Thanks for replying though. I’ll ask then, how many orders do you need to produce a kit? One that doesn’t leave you out of pocket? Mine constantly asks me to log in, even if I tick the ‘remember me’ box. But there isn’t a box to write a reply unless you are logged so I’m confused about how you write a reply without logging in first. I can offer no solution, the manufacturers have made them so very easy to fly, anyone with the money, can and does fly as we all know. The trouble is I can see no help over the horizon either. The Police have been cut beyond effectiveness so it will be near the bottom of their list of priorities even if you call them, and I'm retired Plod myself. In your case you can actually see the pilot, so the Police have got someone to talk to should they arrive in time. Most cases you wont know where the pilot is, even if the officer see's the drone in the sky, how do they find the pilot to talk to? I also now fly them professionally but not in the UK and regularly get them (DJI brand) over 4km away from me. My club does allow and encourage them but there does seem to be the belief that once you've bought the machine, all responsibility for flying it safely and within the law can be ignored. A modern problem that will only get worse I'm afraid. I saw one from two years ago that mimicked a mosquito. The theory was that the machine could fly somewhere, then attached itself to the wall or whatever surface. This allowed it to conserve power whilst the camera streamed pictures to the rescue services. As the situation changed, the machine could then fly to another perch to get a better view. It used large but very slender legs to grip, just like this one but it was quad copter based.